This is a list of geographic portmanteaus. Portmanteaus (also called blends) are names constructed by combining elements of two, or occasionally more, other names. For the most part, the geographic names in this list were derived from two other names or words. Those derived from three or more names are usually considered acronyms or initialisms and can be found in the List of geographic acronyms and initialisms. However, there are exceptions to this two/three rule in both lists, so it is more of a guideline than a hard-and-fast rule. Some regions (including countries and provinces) have names that are portmanteaus of subregions or cities within the region. Names that are just a concatenation of the components (example: KwaZulu-Natal) or a combinative form of one subregion linked with the full name of the other (example: Czechoslovakia) are excluded. Some Chinese provinces have names that are blends of their two largest cities. During the Joseon Kingdom, seven Korean provinces (all but the region around the capital) were named by combining the first characters of their two major cities. The provinces were reorganized in the 1890s but the names are still in use. All these traditional provincial names are carried forward by two current provinces and for all except Gangwon (which is the only one where the two carrying the name were split between North and South Korea) a North and a South province of the same name. However note that for most former provinces, the two current provinces with the name are usually not entirely coextensive with the former province. The dates of the former provinces are those when they carried that name; they often existed with a different name before that year. Half of Vanuatu's provincial names are portmanteaus of their main islands or island groups. 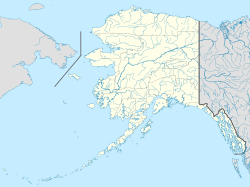 A border portmanteau is a name that combines those of two, or occasionally three, adjacent polities (countries, states, provinces, counties, cities) to form a name for a region, town, body of water, or other feature on or near their mutual border. 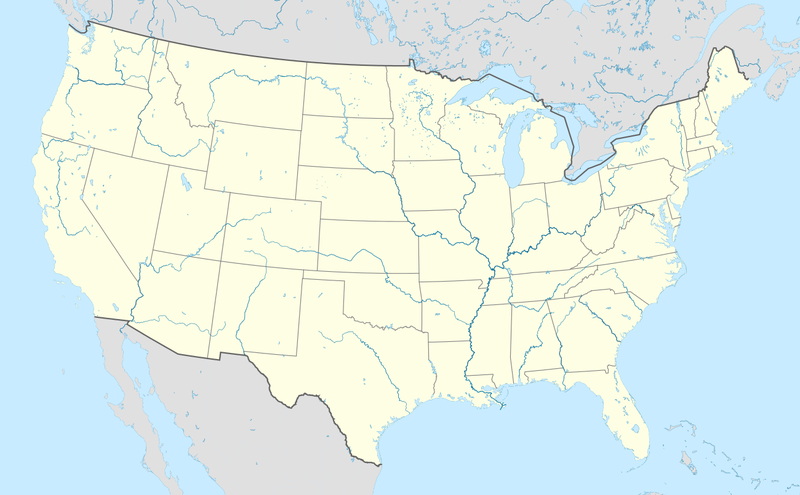 These are generalized (and unofficial) regions usually centered on cities near state borders in the United States. They usually extend across state lines and their names are portmanteaus of two or three state names. § This symbol marks localities with no current population; some of them never had any population. Note: places listed on the same line are immediately across the border from each other. Some others with non-similar names are also across a border from each other. Vanport City, Oregon (Portland, Oregon and Vancouver, Washington), a town on the Portland side of the Columbia river, no longer in existence. Lakes that are on or near borders also sometimes get named with portmanteaus of the neighbouring polities. Geographic features on borders or between towns sometimes get border portmanteau names. Below are maps of the towns (red dots), bodies of water (blue dots), and other geographic features (green dots) that are portmanteaus of country, state, and province names. Also included are pseudo-border portmanteau towns (yellow dots). Some places have names that are blends of country, state, and provincial names. However, they are either not near their mutual border, or of regions that do not have a mutual border. Ohiowa, Nebraska (Ohio and Iowa), settled by people from both states. Most here are blends of two personal names, but some are of a personal name with some other name or word. Annis, Idaho — Ann Kearney (first postmistress) and the word "island"
Wardell, Missouri — R. L. Warren + "dell"
Sometimes a portmanteau name is created from the names of predecessor towns. Names that are merely a concatenation of the predecessor names, such as Budapest, are excluded. Aquadeo, Saskatchewan — "aquatics" and "rodeo"
Arrowbear Lake, California, a small community halfway between Lake Arrowhead and Big Bear Lake in the San Bernardino mountains. BosWash or BosNYWash, terms occasionally used for the chain of interlocking coastal metropolitan areas (stretching from Boston in the north to Washington, D.C. in the south) that make up the Northeast megalopolis. Carway, Alberta — Cardston and "highway"
Golburn, Saskatchewan — "goldenrod" and "burning"
Idahome, Idaho — Idaho and "home"
Lempom, California — "lemon" and "pomegranate"
Linwood, Michigan — "line" and "wood"
Oklaunion, Texas — Oklahoma and "union"
Uravan, Colorado — "uranium" and "vanadium"
Walland, Tennessee — Walton and England, from the Walton and England Leather Co. which established a tannery there. Woolaroc — museum and game preserve in Oklahoma; name is a blend of "woods" "lakes" and "rocks"
^ a b c d e f g h i j k l m n o p q r s t u v w x y z aa ab ac ad ae af ag ah ai aj ak al am an Barry, Bill (September 2005). Geographic Names of Saskatchewan. Regina, Saskatchewan: People Places Publishing, Ltd. ISBN 1-897010-19-2. ^ a b c d e f g h i j k l m n o p q r s t u v w x y z aa ab ac ad ae af ag ah ai aj ak al am an ao ap aq ar as at au av aw ax ay az ba bb bc bd Temple, Robert D. (2009). Edge Effects: the Border-Name Places (2nd ed.). Bloomington, Indiana: iUniverse, Inc. ISBN 978-0-595-47758-6. ^ a b c d D'Artois Leeper, Clare (2012). Louisiana Place Names: Popular, Unusual, and Forgotten Stories of Towns, Cities, Plantations, Bayous, and Even Some Cemeteries. LSU Press. ISBN 9780807147382. ^ a b c d e f g h i j k l m n o Shirk, George H, (1987). Oklahoma Place Names. University of Oklahoma Press. ISBN 0-8061-2028-2. ^ a b c d e f g h i j k l m Gudde, Erwin Gustav (2010). California Place Names: The Origin and Etymology of Current Geographical Names. University of California Press. ^ a b c d e f g h i j k l McArthur, Lewis A.; McArthur, Lewis L. (1992). Oregon Geographic Names (6th ed.). Oregon Historical Society Press. ISBN 0-87595-237-2. ^ a b c d e f g h i j k l m n o p q r s t u v w x y z aa ab ac ad ae af ag ah ai aj ak Stewart, George R. (1970). American place-names; a concise and selective dictionary for the continental United States of America. New York: Oxford University Press. ^ Heck, L. W. (1966). Delaware Place Names. U.S. Government Printing Office. ^ a b c d Foscue, Virginia O. (1989). Place Names in Alabama. University of Alabama Press. ISBN 9780817304102. ^ a b c d e f g h i Boone, Lalia Phipps (1988). Idaho place names : a geographical dictionary. Moscow, Idaho: University of Idaho Press. ISBN 0893011193. ^ a b c d e f g h i j k l m n o p q r s t u Callary, Edward (October 2009). Place Names of Illinois. Champaign, Illinois: University of Illinois Press. ISBN 978-0-252-03356-8. ^ a b c Eaton, David Wolfe (1916). How Missouri Counties, Towns and Streams Were Named. State Historical Society. ^ a b c d e f g h i j k l Kenny, Hamill (1945). West Virginia Place Names: Their Origin and Meaning, Including the Nomenclature of the Streams and Mountains. Piedmont, WV: The Place Name Press. ^ a b c d e f g h i j k l m n o p q Rennick, Robert M. (2013). Kentucky Place Names. University Press of Kentucky. ISBN 9780813144016. ^ Long, Christopher. "Panola, TX [#2] (Panola County)". Handbook of Texas Online. Texas State Historical Association. Retrieved 16 October 2018. ^ "Marvania Heights, Maryland". Geographic Names Information System. United States Geological Survey. ^ "Dunklin County Place Names, 1928–1945". The State Historical Society of Missouri. Retrieved September 20, 2018. ^ a b c d e f g h i j Williams, Mary Ann Barnes (1966). Origins of North Dakota Place Names. Bismarck, ND: Bismarck Tribune. ^ a b "Montana Placenames from Alzada to Zortman". Montana Place Names. Montana Historical Society. Retrieved 26 October 2017. ^ "Nevuta, Nevada". Geographic Names Information System. United States Geological Survey. ^ a b c Rand McNally & Co. (1997). Rand McNally 1997 Commercial Atlas and Marketing Guide (128th ed.). Rand McNally & Co.
^ a b Miller, Larry (2001). Tennessee Place-names. Indinan University Press. ISBN 9780253214782. ^ Krakow, Kenneth K. (November 1999). Georgia Place-Names (Third ed.). Macon, Georgia: Winship Press. ISBN 0-915430-00-2. ^ a b c d e f Tarpley, Fred (2010). 1001 Texas Place Names. University of Texas Press. ISBN 9780292786936. ^ a b Julyan, Robert Hixson (1996). The Place Names of New Mexico (revised ed.). UNM Press. ISBN 9780826316899. ^ Wooster, Robert. "Texla, TX". Handbook of Texas Online. Texas State Historical Association. Retrieved 31 January 2018. ^ a b Van Cott, John W. (1990). Utah Place Names: A Comprehensive Guide to the Origins of Geographic Names : a Compilation. University of Utah Press. ISBN 9780874803457. ^ Bender, Henry E. (1970). Uintah Railway: the Gilsonite Route. Howell-North Books. p. 51. ISBN 9780831070809. ^ a b c Carlson, Helen S. (1974). Nevada Place Names: A Geographical Dictionary. University of Nevada Press. ISBN 9780874170948. ^ a b c d Hanson, Raus McDill (1969). Virginia Place Names : Derivations, Historical Uses. Verona, Virginia: McClure Press. ^ "Colmor, New Mexico". Geographic Names Information System. United States Geological Survey. ^ "Dalark". Geographic Names Information System. United States Geological Survey. ^ McCarthy, John. "A Guide to Sarasota Beaches". Sarasota Magazine. SagaCity Media. Retrieved 27 January 2018. ^ a b c d e f McCoy, Sondra Van Meter; Hults, Jan (1989). 1001 Kansas Place Names. Lawrence, Kansas: University Press of Kansas. ISBN 0-7006-0392-1. ^ Duffy, Richard A. "History of Arlington Street names: 'Arlmont Village'". wickedlocal.com. Retrieved 8 March 2019. ^ a b c d e f g h i Morris, Allan (1995). Florida Place Names: Alachua to Zolfo Springs. Sarasota, Florida: Pineapple Press, Inc. ISBN 1-56164-084-0. ^ Chicago and North Western Railway Company (1908). A History of the Origin of the Place Names Connected with the Chicago & North Western and Chicago, St. Paul, Minneapolis & Omaha Railways (2nd ed.). ^ Constanze. "German Kofferwörter (Portmanteau Words)". German Language Blog. Transparent Language. Retrieved 27 November 2018. ^ "Linworth, Ohio". Geographic Names Information System. United States Geological Survey. ^ a b c d Overman, William Daniel (1959). Ohio Town Names. Akron, Ohio: Atlantic Press. ^ Jenkins, Elwyn (2007). Falling into Place: The Story of Modern South African Place Names. New Africa Books. ISBN 9780864866899. ^ "Vade, Saskatchewan". Geographical Names Data Base. Natural Resources Canada. ^ "Arkla Lake". Geographic Names Information System. United States Geological Survey. ^ "Calneva Lake". Geographic Names Information System. United States Geological Survey. ^ "Mansask Lake". Geographical Names Data Base. Natural Resources Canada. ^ "Mantario Lake". Geographical Names Data Base. Natural Resources Canada. ^ "Manticia Lake". Geographical Names Data Base. Natural Resources Canada. ^ a b c d e f Geographic Board of Canada (1933). Place-names of Manitoba. Ottawa: J. O. Patenaude, acting King's printer. ^ "Lake Michiana". Geographic Names Information System. United States Geological Survey. ^ "Saskman Lake". Geographical Names Data Base. Natural Resources Canada. ^ "Saskoba Lake". Geographical Names Data Base. Natural Resources Canada. ^ a b c d e f Gard, Ropbert E. (2015). The Romance of Wisconsin Place Names. Wisconsin Historical Society. ISBN 9780870207082. ^ "Canalaska Mountain". Geographic Names Information System. United States Geological Survey. ^ "Canalaska Mountain". Geographical Names Data Base. Natural Resources Canada. ^ "Canida Peak". Geographic Names Information System. United States Geological Survey. ^ Mills, A. D. A dictionary of London place-names (2nd ed.). Oxford University Press. ISBN 9780199566785. ^ a b c d e f g Ramsay, Robert L. (1952). Our Storehouse of Missouri Place Names. University of Missouri Press. ^ a b c Marden, Ernest G.; Marden, Austin (2010). Community Place Names of Alberta. Lulu.com. ISBN 189747217X. ^ a b c d Barnes, Will Croft (2016). Arizona Place Names. University of Arizona Press. ISBN 9780816534951. ^ a b Fitzpatrick, Lilian L. (1925). Nebraska Place-Names. University of Nebraska Press. ^ Hart, Brian. "Texhoma City, TX". Handbook of Texas Online. Texas State Historical Association. Retrieved 27 October 2018. ^ Long, Christopher. "Texla, TX". Handbook of Texas Online. Texas State Historical Associtation. Retrieved 31 January 2018. ^ Anderson, H. Allen. "Alanreed, TX". Handbook of Texas Online. Texas State Historical Association. Retrieved 30 January 2018. ^ "Albertha, North Dakota". Geographic Names Information System. United States Geological Survey. ^ "Alpat Lake". Geographical Names Data Base. Natural Resources Canada. ^ Minor, David. "Birome, TX". Handbook of Texas Online. Texas State Historical Association. Retrieved 23 November 2017. ^ a b c d e Baker, Ronald L. (October 1995). From Needmore to Prosperity: Hoosier Place Names in Folklore and History. Indiana University Press. ISBN 978-0-253-32866-3. ^ a b c d Kenny, Hamill (1984). The Placenames of Maryland : their origin and meaning. Baltimore, Md. : Maryland Historical Society. ISBN 0-938420-28-3. ^ "Como, Henry County, Missouri". Geographic Names Information System. United States Geological Survey. ^ "Cookson, Saskatchewan". Geographical Names Data Base. Natural Resources Canada. ^ "Coxby, Saskatchewan". Geographical Names Data Base. Natural Resources Canada. ^ Federal Writers' Project (1940). South Dakota place-names, v.1-3. University of South Dakota. ^ Warren Upham (1920). Minnesota Geographic Names: Their Origin and Historic Significance. Minnesota Historical Society. p. 157. 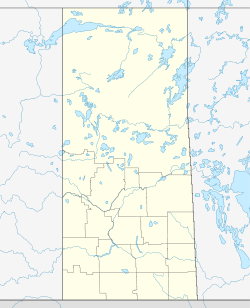 ^ "Dankin, Saskatchewan". Geographical Names Data Base. Natural Resources Canada. ^ a b Espenshade, A. Howry (1925). Pennsylvania place names. State College, PA: The Pennsylvania State College. 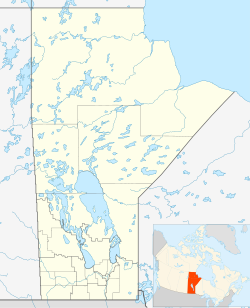 ^ "Dunrea, Manitoba". Geographical Names Data Base. Natural Resources Canada. ^ a b c d e Rayburn, Alan (1997). Place names of Ontario. Toronto: University of Toronto Press. ISBN 0-8020-7207-0. ^ Wooster, Robert. "Gladstell, TX". Handbook of Texas Online. Texas State Historical Association. Retrieved 18 November 2017. ^ "Gragreen, North Dakota". Geographic Names Information System. United States Geological Survey. ^ Wick, Douglas A. (1989). North Dakota Place Names. Prairie House. p. 79. ISBN 9780911007114. ^ Hamilton, William Baillie (1996). Place Names of Atlantic Canada. University of Toronto Press. p. 209. ISBN 0802075703. ^ Barrier, Carolyn. "Idalou, TX". Handbook of Texas Online. Texas State Historical Association. Retrieved 20 November 2017. ^ Justice, Glenn. "Iraan, TX". Handbook of Texas Online. Texas State Historical Association. Retrieved 20 November 2017. ^ "Langruth, Manitoba". Geographical Names Data Base. Natural Resources Canada. ^ Anderson, H. Allen. "Lazbuddie, TX". Handbook of Texas Online. Texas State Historical Association. Retrieved 20 November 2017. ^ "Leaday, TX". Handbook of texas Online. Texas State Historical Association. Retrieved 20 November 2017. ^ Meany, Edmund S. (1923). Origin of Washington geographic names. Seattle, WA: University of Washington Press. ^ a b c Bright, William (2004). Colorado Place Names. Big Earth Publishing. ISBN 9781555663339. ^ Hart, Brian. "Mabank, TX". Handbook of Texas Online. Texas State Historical Association. Retrieved 19 November 2017. ^ "Macworth, Saskatchewan". Geographical Names Data Base. Natural Resources Canada. ^ Hart, Jan. "Mansfield, TX". Handbook of Texas Online. Texas State Historical Association. Retrieved 20 November 2017. ^ "Marchwell, Saskatchewan". Geographical Names Data Base. Natural Resources Canada. ^ a b c d e Upham, W. (1920). Minnesota Geographic Names: Their Origin and Historic Significance, v. 17. Minnesota Historical Society. ^ "Maxstone, Saskatchewan". Geographical Names Data Base. Natural Resources Canada. ^ Krawchuk, Peter. "Ukrainian Place Names in Canada". Virtual Museum of Canada. Canadian Museum of History. Retrieved 20 February 2018. ^ "Noralee, British Columbi". Geographical Names Data Base. Natural Resources Canada. ^ a b c d e Akrigg, G. P. (Philip) V.; Akrigg, Helen (2011). British Columbia Place Names (Third ed.). UBC Press. ISBN 0774841702. ^ a b Canadian Board on Geographical Names (1928). Place-names of Alberta. Ottawa: F. A. Acland, printer. ^ "Wallard, Saskatchewan". Geographical Names Data Base. Natural Resources Canada. ^ "Clemretta, British Columbia". Geographical Names Data Base. Natural Resources Canada. ^ a b Waldman, Carl; Braun, Molly (2009). Atlas of the North American Indian. Infobase Publishing. ISBN 9781438126715. ^ "Bellevyria, North Dakota". Geographic Names Information System. United States Geological Survey. ^ "Crekola, Oklahoma". Geographic Names Information System. United States Geological Survey. ^ Vasiliev, Ren (2004). From Abbotts to Zurich: New York State Placenames. Syracuse University Press. ISBN 9780815607984. ^ "Enehoe, Oklahoma". Geographic Names Information System. United States Geological Survey. ^ "Montana Place Names Companion". Montana Place Names From Alzada to Zortman. Montana Historical Society Research Center. Retrieved 10 November 2018. ^ "Golburn, Saskatchewan". Geographical Names Data Base. Natural Resources Canada. ^ "Indrio, Florida". Geographic Names Information System. United States Geological Survey. ^ Romig, Walter (1973). Michigan Place Names: The History of the Founding and the Naming of More Than Five Thousand Past and Present Michigan Communities. Wayne State University Press. ISBN 9780814318386. ^ "New Madrid County Place Names, 1928–1945". The State Historical Society of Missouri. Retrieved September 20, 2018. ^ Reynolds, W. Dale. "Okeene". The Encyclopedia of Oklahoma History and Culture. Oklahoma Historical Society. Retrieved 21 November 2017. ^ "Rondowa, Oregon". Geographic Names Information System. United States Geological Survey.